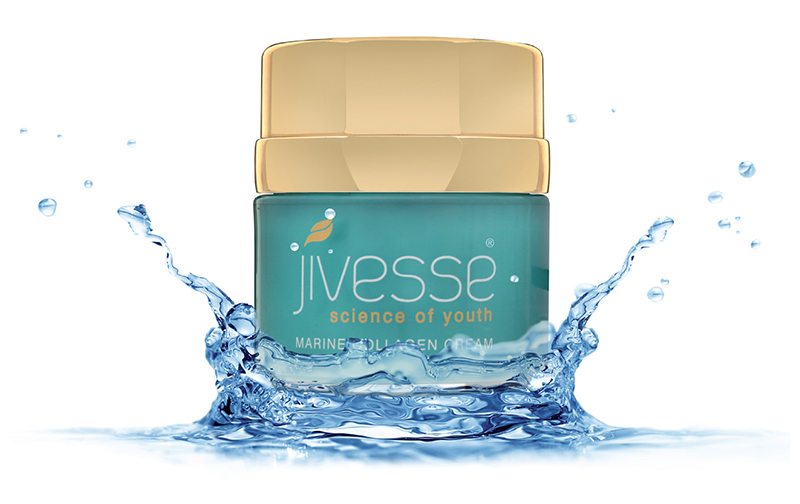 Each product in the Jivesse range are packed with peptides. Peptides are chains of amino acids that are the building blocks of protein in the skin. They penetrate the top layer of skin where they produce many anti-aging benefits, helping stimulate collagen production and fight fine lines & wrinkles. How do Peptides Work in Skin Care? Peptides act as signalling mechanism telling the body to produce more collagen. Collagen is required for smooth, firm skin which is why peptides are essential in anti-aging skin care. There are different types of peptides, all of which work slightly differently. Some have a relaxing effect on facial muscles, helping to minimise movement and the formation of wrinkles similarly to Botox. Other types, stimulate skin growth & repair, fight inflammation and protect against UV damage. Our gold collagen face masks contain peptides Acetyl Octapeptide-3 and Palmitoyl Tripeptide-5, making this mask ‘more’ than just a face mask. Acetyl Octapeptide-3, this has been clinically proven to reduce the depth of wrinkles on the face caused by the contraction of the muscles of facial expression, especially in the forehead and around the eyes. It is a safer, more economical and milder alternative to Botulinum Toxin (Botox), and targets the same wrinkle-formation mechanism topically. Palmitoyl Tripeptide-5 has the ability to penetrate not only the epidermis but deep into the dermis too where it stimulates collagen production and healthy tissue growth. It not only speeds up collagen synthesis in the skin, as it has the ability to communicate with healthy skin cells. Both Jivesse Collagen Cream and capsules are enriched with Peptan®, the purest of marine collagen peptides, which protect the extracellular matrix of the dermis, counteracting the loss of firmness and moisture occurring over time which would typically lead to wrinkles. Jivesse Collagen Cream also contains peptide Argireline®, which is proven to reduce deep wrinkles caused when your muscles contract due to facial expressions. Predominantly this happens in the forehead and around the eyes. A safer cheaper alternative to Botox, Argireline® targets the wrinkle formation in a different way. Peptides are often an overlooked ingredients compared to hyaluronic acid, retinol or collagen, but it is worth looking for on the ingredients label if you want truly younger-looking skin.